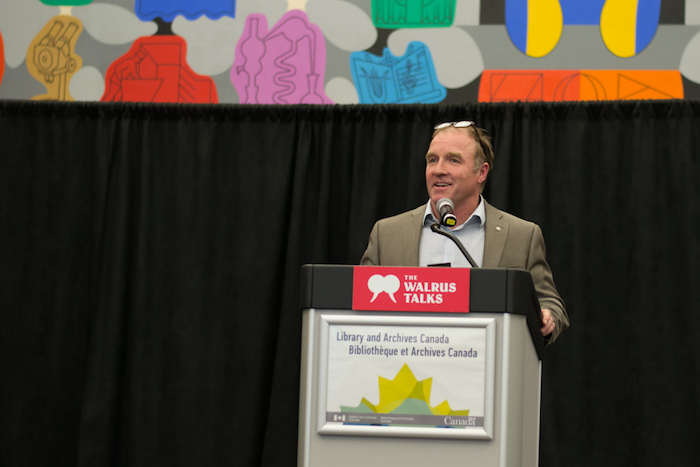 The Students on Ice Foundation was pleased to attend The Walrus Talks Canada 150: What’s Next at the Library and Archives Canada. 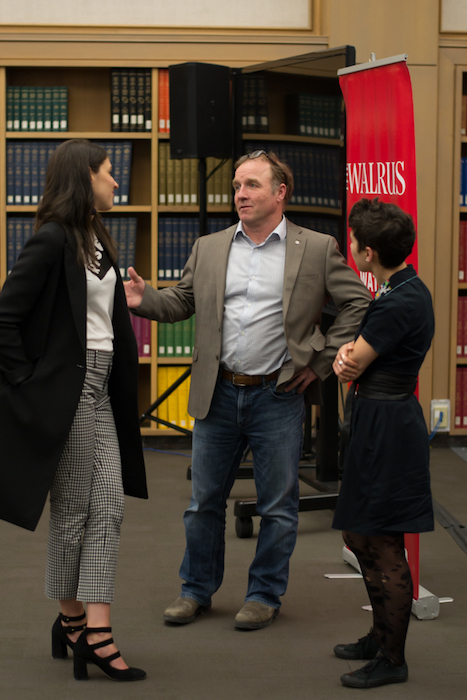 Representing SOIF as speakers at the event were Geoff Green, Jessica Bolduc SOI staff alum, and Caro Loutfi, Canada C3 alum. 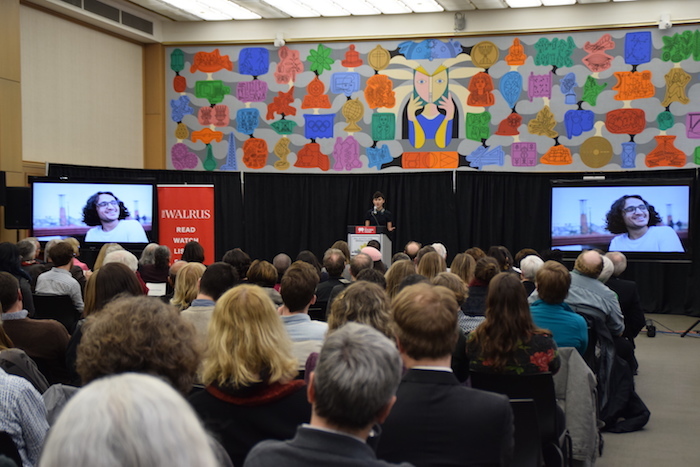 Each speaker had 7 minutes to deliver a moving reflection on the theme Canada 150: What Next? What did we learn about the country during Canada’s sesquicentennial? How do we see ourselves? Where do we go from here? Geoff Green presented an overview of Canada C3, and spoke of our country as “a community of communities”. Canada C3 was a journey that celebrated the people and places along Canada’s three coasts. As an ocean nation, the country with the longest coastline in the world, we have a responsibility to work towards marine protection and conservation moving forward. 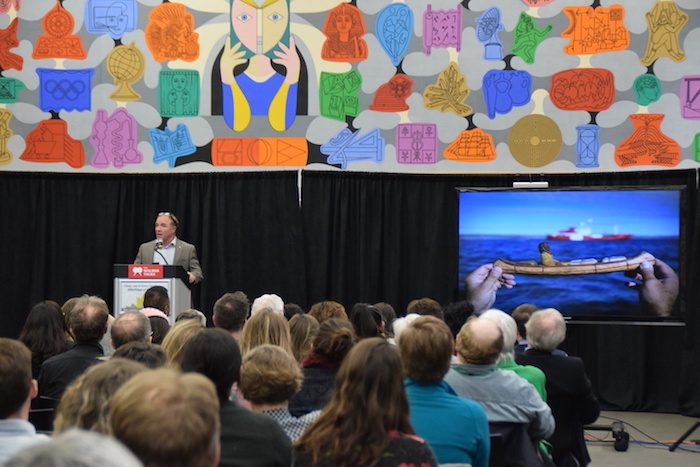 Geoff recognized the important role that the land and water of our country play in our identity as a nation, and tied together our nation’s present with a bit of our history by telling the story of Canada C3 on Sutton Island with Roger Hitkolok. Geoff concluded by stating that the stories, perspectives and passion of people like Roger and many other C3 participants and community members became the heart of Canada C3 and continue to give us cause for hope for Canada’s future. Jessica Bolduc is the Executive Director of the 4Rs Youth Movement, and an SOI staff alum. The 4Rs Youth Movement is a youth driven initiative to change our country by changing relationships between Indigenous and non-Indigenous young people. This movement encourages young people to engage in a cross-cultural dialogue to further truth and reconciliation. 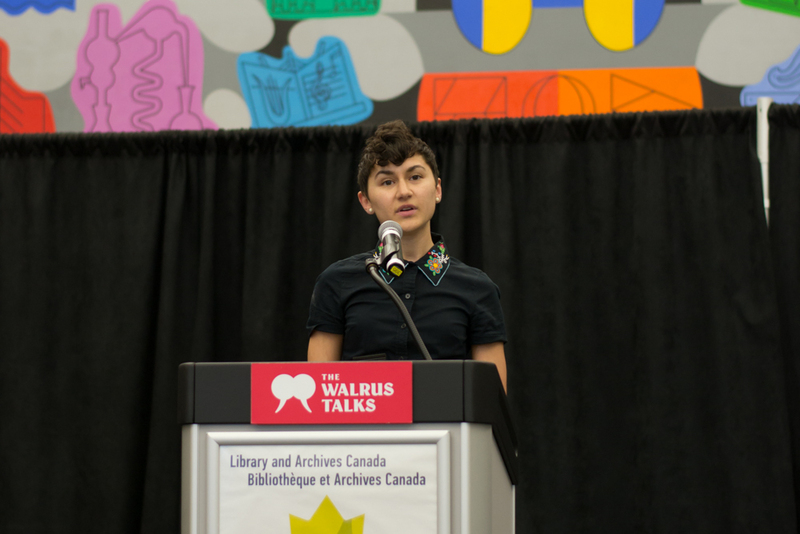 Jessica addressed the current climate in our Country regarding Indigenous and non-Indigenous relations, stating that “Canada is in crisis”. Jessica stressed the importance of allyship for Canadians right now, and reminded the audience that “being an ally is not static”. She urged that we as a country work harder to do better, and be better for reconciliation. We must rise to the challenge for a better future: change will come if we grow it together. Caro Loutfi is the Founder and President of Apathy is Boring, and an alum of leg 7 from the Canada C3 expedition. 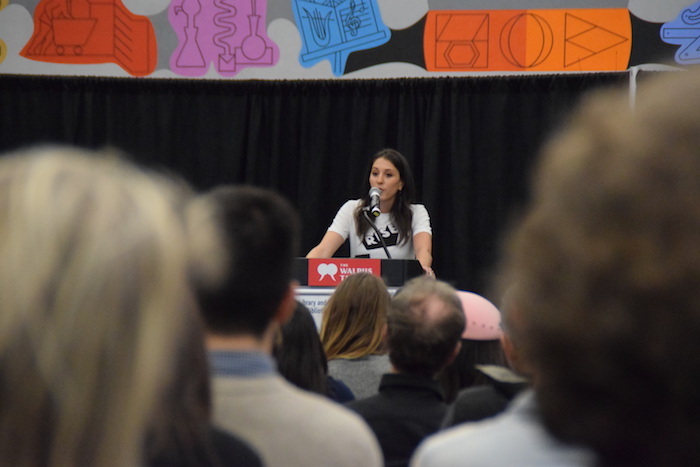 Apathy is Boring is a non-partisan, charitable organization that supports and educates youth to be active and contributing citizens in Canada’s democracy. Caro spoke to the strength of young Canadians: “The young people that are stepping up to be heard in our country are powerful”. She emphasized our democracy’s need for “agitators, innovators, and orchestrators”, and the importance of all three working together to create change. Events like this where the SOIF community gathers with like-minded friends and partners demonstrates that we hold a powerful group of changemakers in our country. Our alumni demand that our country does better by working harder and doing more. 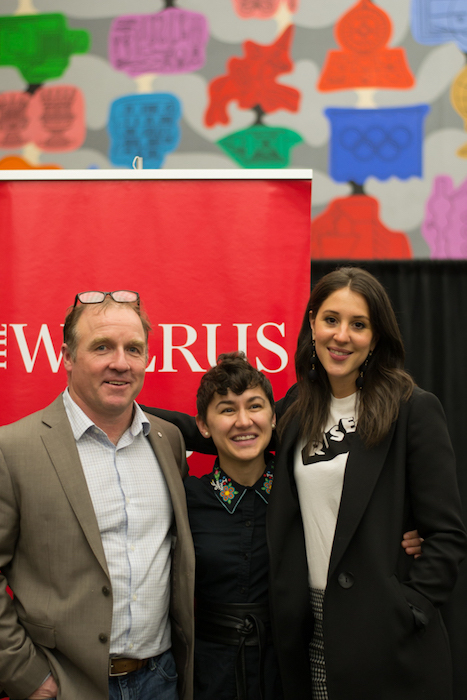 Thank you to The Walrus for hosting an inspiring and reflective evening.